I’m sending you this email to commend your very special staff members at DGC. In particular, I need to commend Alfie and Gabriela for their sterling service levels, and friendly demeanour. I had a problem with my sound equipment, and Alfie stepped in to assist me, even though it was not his duty to do so. Gabriella was on hand throughout the evening, and my guests and I were treated to a fantastic evening by Alfie, Gabriela and staff. It is my first social event/function I’ve held at the club, and having been a member since the age of 19, I’ve finally been able to host my friends and family in your magnificent venue. Let us cater for your next social event! 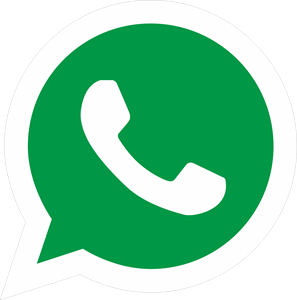 Contact us to request a quote. Just wanted to drop you a note to say thanks for looking after us at Durbanville on Friday. We had a great time and the course is in great nick! The greens were quick and the pace of play was good too. I was most impressed with the amount of support and sponsorship for the golf day later that afternoon - almost a sponsor on every hole! There would have been some groggy heads coming off the course late on Friday I'm sure. 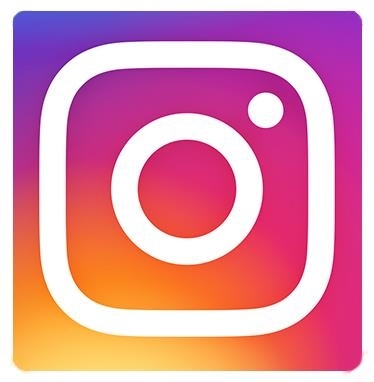 We want to know what your experience at DGC was! 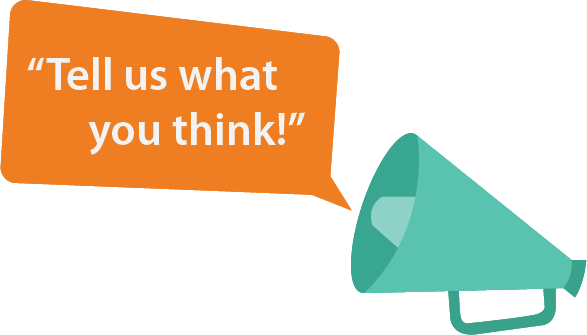 Click here to send us your feedback. Thank you so much for allowing the Jewel of the North to be YOUR CHOICE. 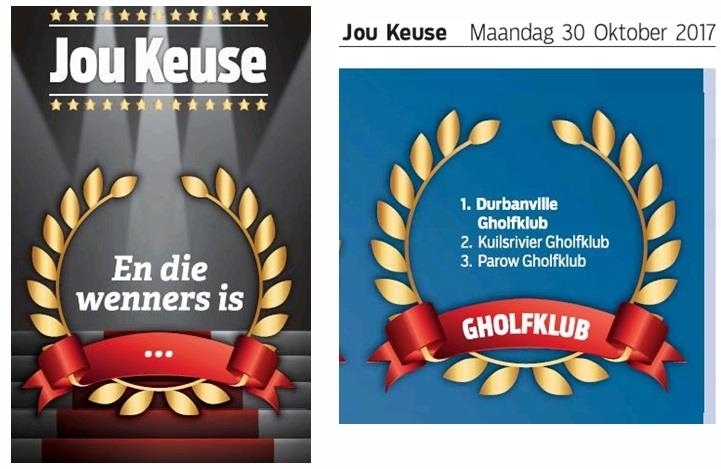 Have a look at Die Burger’s newspaper from Monday, 30th October for more details. Biddy von Eckenbrecher wasn’t an honorary life member here, however, she was a very special friend to many people and the committee of the ladies society for many years. 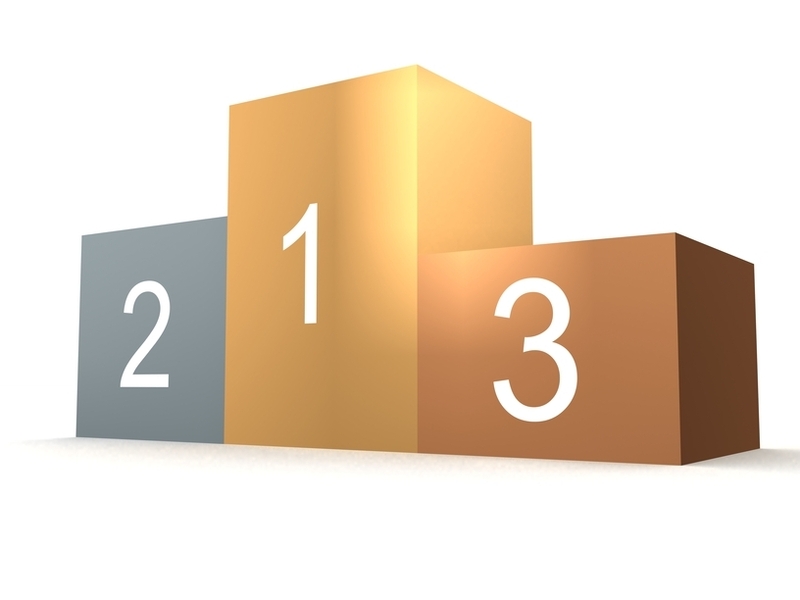 Great results for our students! Another great weekend for two of our students! Well done Chris Wicks for coming second place and Ayden for coming in the top 10 at the Metropolitan Open. Keep up the good work, Gentlemen! 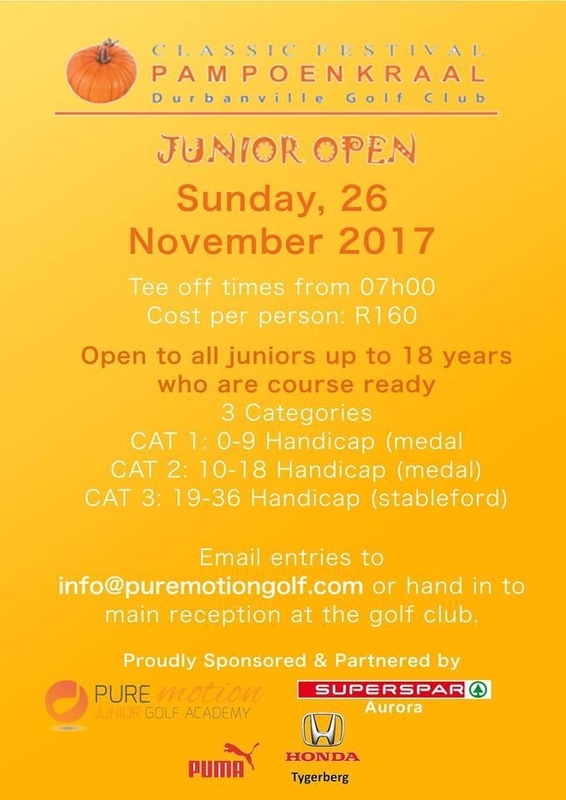 The annual Pampoenkraal Junior Open is coming on the 26th of November. Download the registration forms (click here), fill them out and drop off at our office or e-mail to info@puremotiongolf.com. The end of October. How’s it been for you? 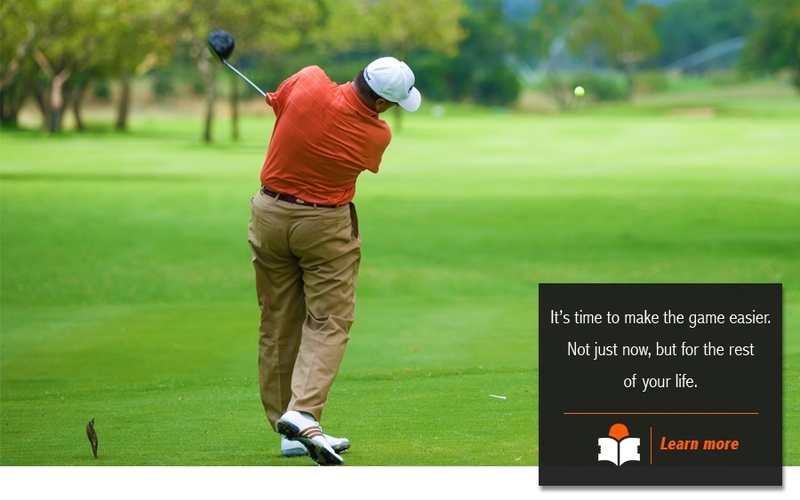 Is your golf improving? If it isn’t, then why not? And if it doesn’t bother you, why not? 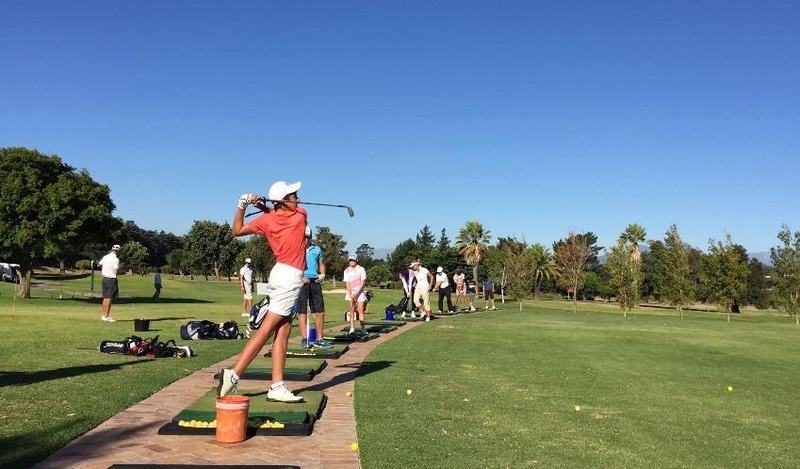 Come on, every golfer should have a plan for November to improve just one skill. What would you want to improve? 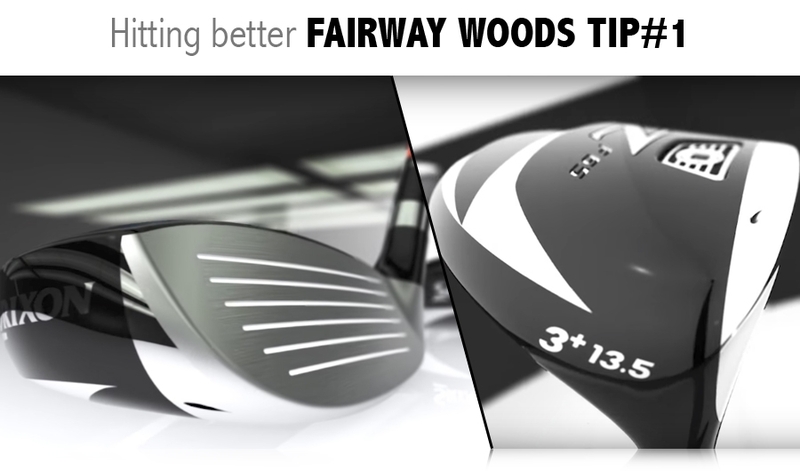 Let us know or book a lesson. 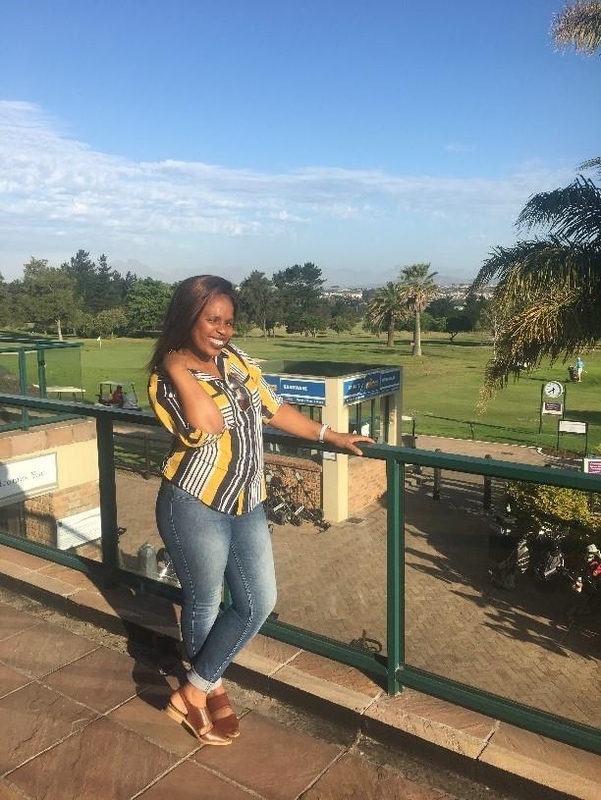 Phumza has been working at the Jewel of the North for a year and a half now and she has already added so much value! She was born in the Eastern Cape and later moved here, to the Mother City. 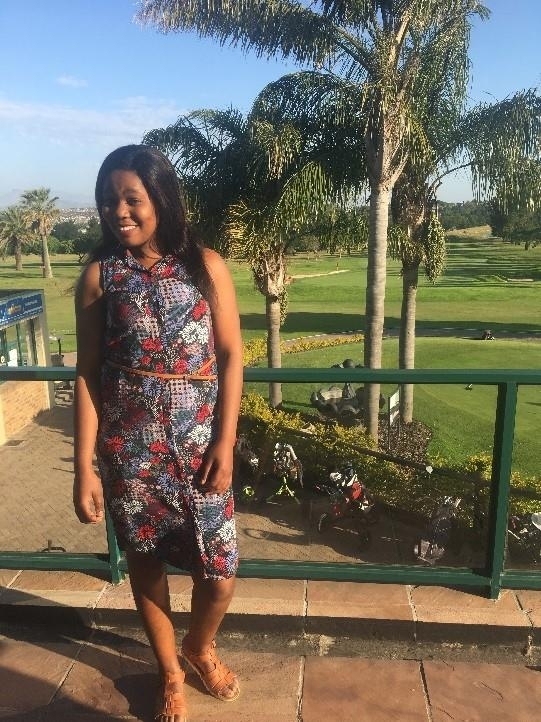 Phumza has a passion for children and has four of her own. 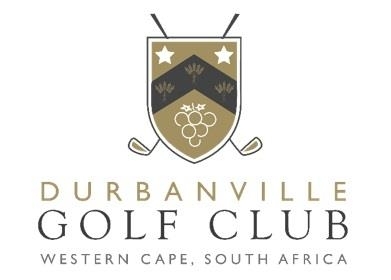 They play golf here at DGC most weekends, so be sure to look out for them! The favourite part of her job is working in a beautiful and peaceful environment. Phumza also loves seeing the juniors learn golf and helping out with table décor for functions. Thank you so much for your passion, Phumza! Meet Nobom, the lady with incredible culinary skills. She also has a child who is now nine years old and who also plays here at DGC on weekends. Nobom has been working at DGC for eight months now and has helped create some of the most delicious dishes! Having studied Hospitality and Catering Services at Northlink College, she was looking for a place to showcase her talents and skills. Nobom did an internship at another company but was looking for more when the job here at the Jewel of the North came up. “Thank you to DGC for the opportunity to work here. I am so happy and blessed”, she commented. We would like to thank you, Nobom, for all your hard work and perseverance. We appreciate you! 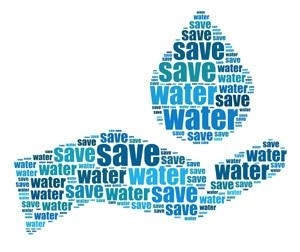 STM are constantly looking to conserve water. Let’s join their efforts and save as much as possible. To view their strategy, click here. To view the October Course Report done by Chris Kitson from STM, click here. 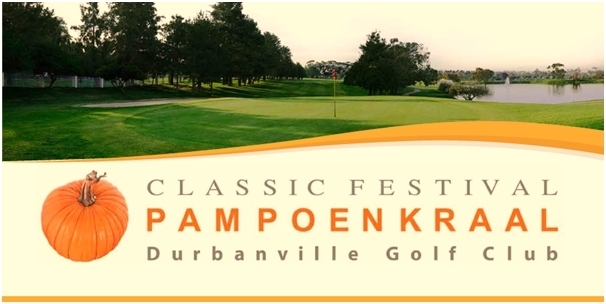 We only have a few 4-balls left for our PPK Classic happening on Saturday, 18th November so book today! There are huge prizes up for grabs so you don’t want to miss out. 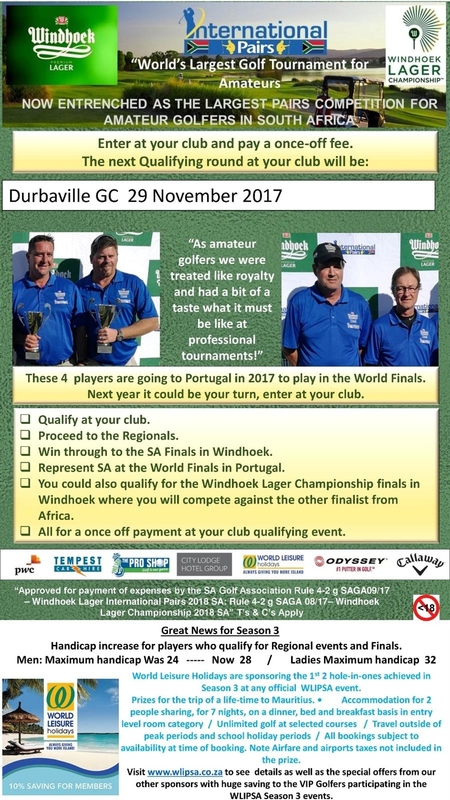 The Windhoek Lager International Pairs Tournament is almost here! Click here for tournament conditions. Click here for players registration form. 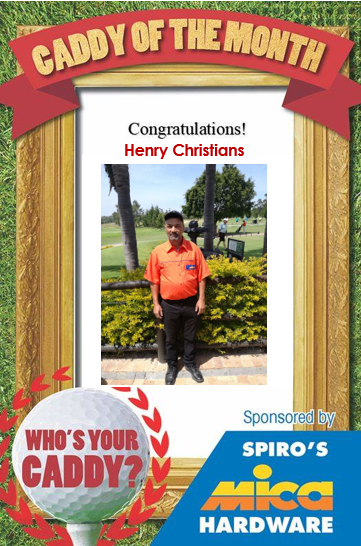 Congratulations Henry Christians for being our Caddie of the Month. Keep up the good work! 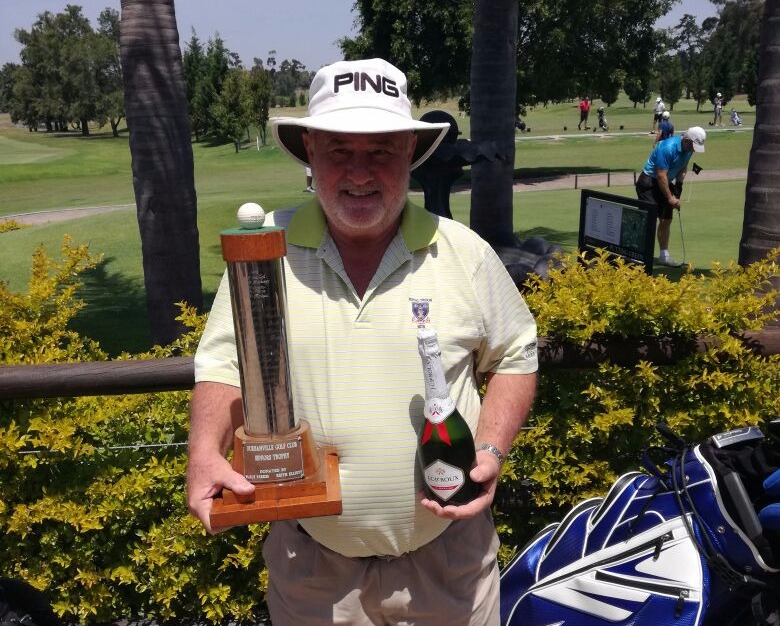 Congratulations to Jasper Coetzee on winning the Seniors Medal! 'That would be too much of a coincidence, sir', answered the caddie in a quiet voice.